It is clear that the residential sales market in Dubai is still softening and the magnitude of declines has on average, intensified over the past six months, according to the latest analysis report. The downturn is not universal and there are markets where values appear to have bottomed out, suggesting that some submarkets may have found their new price floor, but there remain a few quarters of further falls yet to come, says the report from real estate firm Cluttons. Residential prices fell by 2.6% in the third quarter of 2016, taking the annual fall at that point to 7.4%. It means that average prices are 26.7% below their peak level of in the third quarter of 2008. But the outlook report reveals that there are considerable variations depending on location and market sector. More affordable locations, such as The Green Community and Jumeirah Village saw no change in prices in the third quarter of 2016. Mid price locations, including Motor City, Emirates Living, Arabian Ranches, Victory Heights and Jumeirah Park saw a negligible 0.1% rise. But the top end of the market has been the worst performing housing sector. The average price of a villa fell by 2.6% in the third quarter and by 7.8% year on year, dragged down by weakness in locations such as The Palm Jumeirah and the Lakes. Over the last year prices in these two locations were down by 11.9% and 11.1% respectively. In the apartment sector average prices fell by 2.5% in the third quarter of 2016, the fastest fall since the middle of 2011 and unlike the villa market price falls have been across the board. Apartment prices fell by 15.3% in Burj Khalifa and by 9.2% in The Greens. The report also reveals that sales are weak and part of this may be due to a general nervousness around commitment to buy and there are still wider issues around affordability. Overall sales were down by 21% in the third quarter of 2016 led by a 22% fall in apartment prices which are down by 26% compared to the third quarter of 2015. The report also shows that rent prices are still falling but by less than in the previous quarter. After falling by 4.4% in the second quarter they fell by less, 1.5%, in the third quarter and are now down 8% year on year. But, as with the sales sector, there is considerable variation. Apartment prices were unchanged in the third quarter but down 5.8% year on year. Year on year villa rents were down 9.4%. Villa rents fell the most in Palm Jumeirah, Jumeirah Islands, the Lakes and Arabian Ranches with a drop of 11.8% year on year. The report says that the other issue in the residential market is around planned supply. ‘With global economic conditions remaining unstable, any sudden boost to supply in the next 12 to 18 months is likely to cause the current stability and projected bottoming out of the market to unravel, with further price falls likely to follow suit. Demand and supply are almost in sync currently, but this delicate balance can quickly be upset by a supply surge,’ it explains. Overall some 34,000 units have been announced with 12,212 set to be complete in 2017 and 20,915 in 2018. ‘As has been the case historically, while the number of project announcements has been progressing at an uninterrupted pace, the delivery timelines of these new schemes remain unclear,’ the report points out. Cluttons predicts that prices are likely to have ended 2016 down by 10% on average and rents by a similar amount. 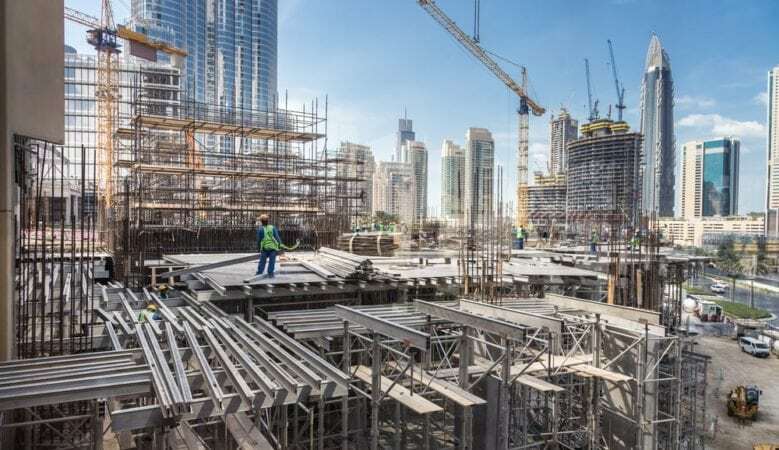 Looking ahead the firm says that infrastructure projects linked to the World Expo 2020 site could help lift sentiment but the housing market is unlikely to settle until late summer or early autumn.